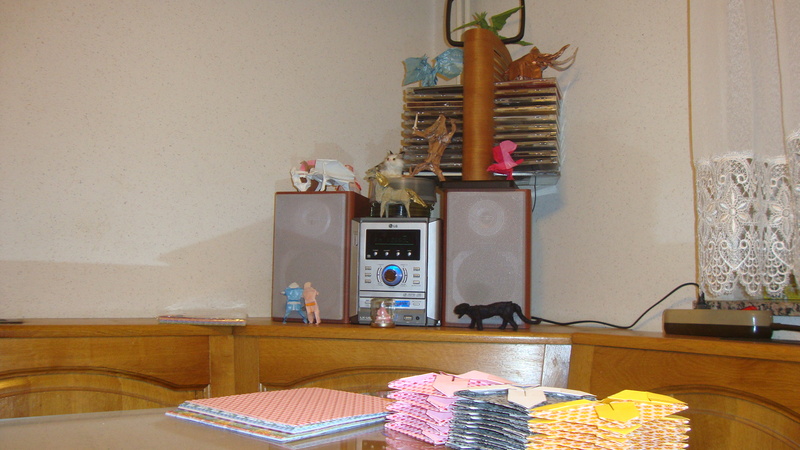 For it I have prepared a special Origami. What is it? Well … what can be expressed as love? Blooming flowers? the feeling of butterflies in your belly? A red heart? A red stone of passion? How about all that and miniature size! 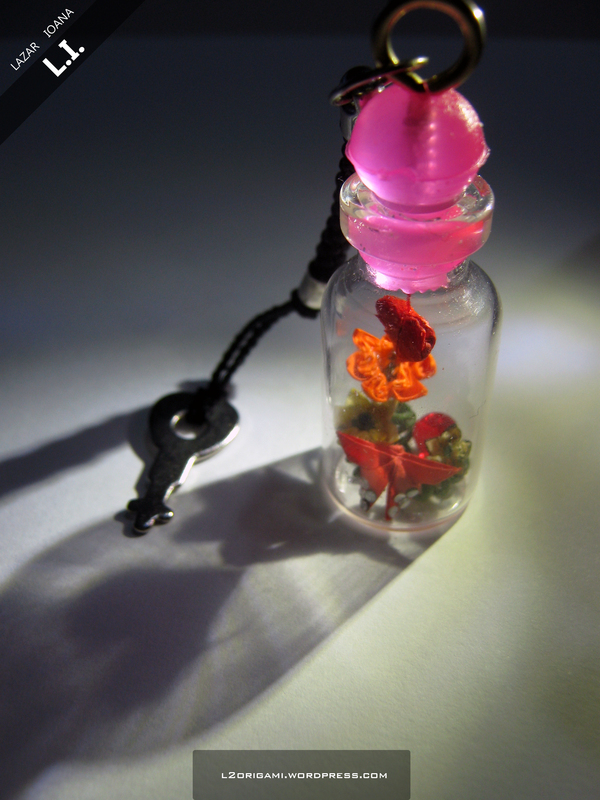 This little bottle contains blooming flowers to symbolize beauty, a butterfly to symbolize freedom, a heart to symbolize love and a blood red stone for passion. All of these with a dash of patience and devotion! 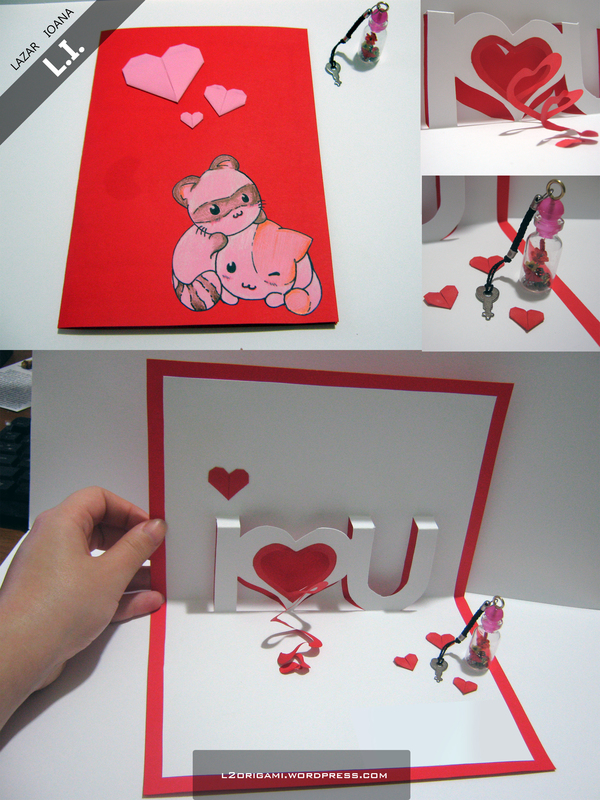 As a bonus I also made a Card. A bit of Kirigami combines with Origami hearts and a cute drawing. For the drawing I used a photo of the internet (it says that it’s made by The Kawaii Neko) but I changed it a bit. 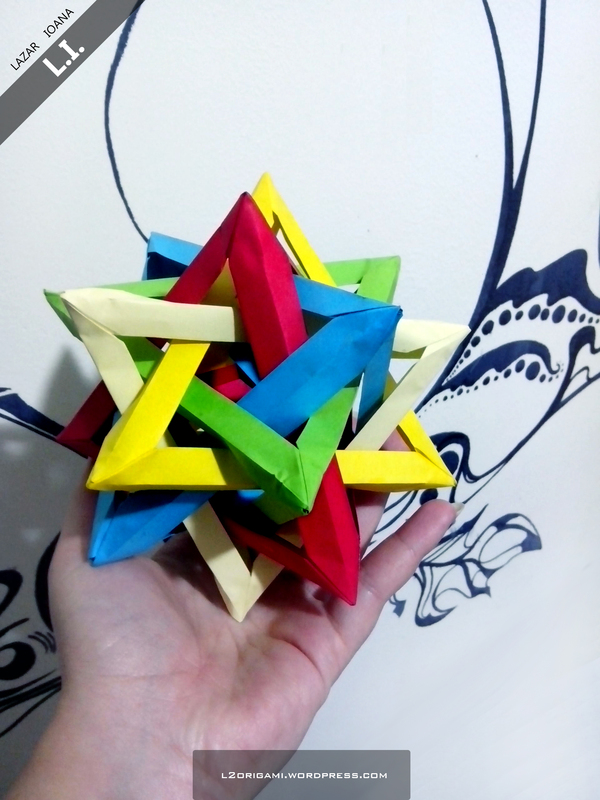 This is my latest work, a modular origami piece. The modules are quite easy to make (ratio of 1:3). I used 4 x 12 cm strips of paper to make each module. Was very fun to “intersect”! Another batch of great tutorials from great artists on Youtube! 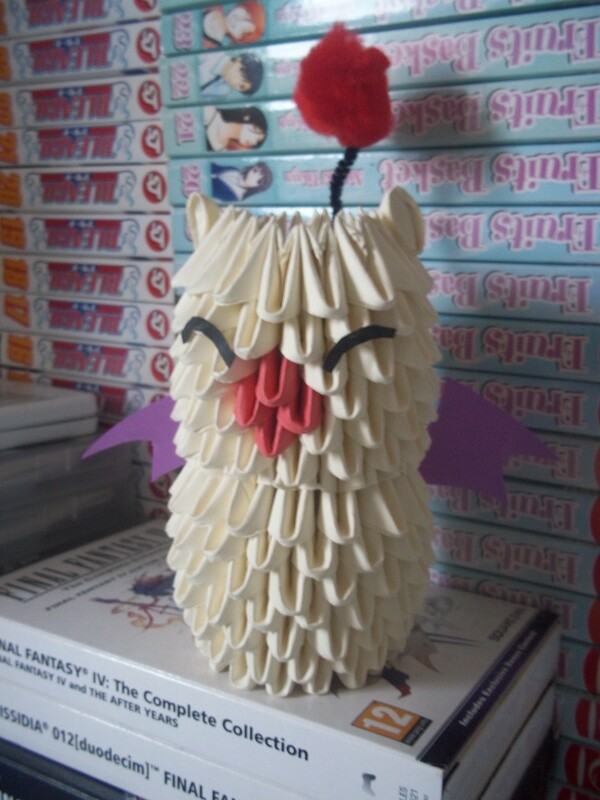 Here is a list of another 5 origami/paper crafts! And we are back with the tutorials of great artists from Youtube! I was looking through the site these days and I noticed we have really few tutorials. There are some amazing people out there that make origami tutorials that are easy to follow and understand. So I will make a list from time to time containing some videos with some amazing origami tutorials. Ilyere here! Is anyone here a fan of 3D origami? It’s a type of origami where you fold paper into triangular units and stack them to create 3D models. Once you learn the basics, you can begin to create your own models, which is what I’m about to show you. Thanks to Ilyere for the tutorial. 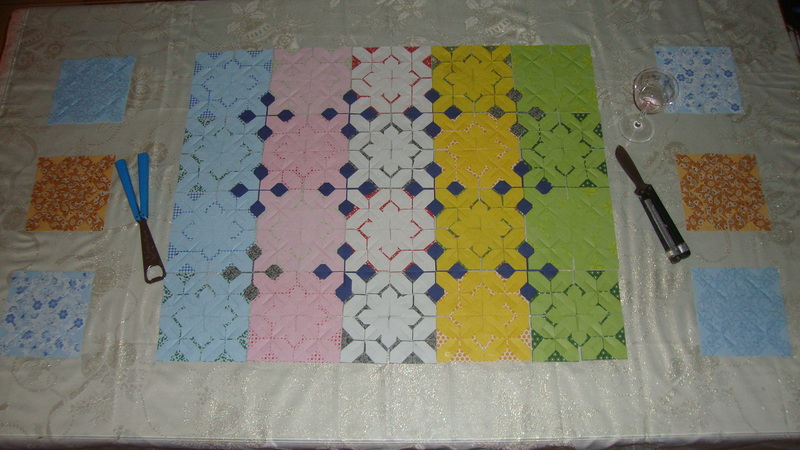 This table decoration is composed out of 142 placemat units of varios colors. The cool thing about this is that every time I set it up under the glass I can rearrange the color scheme.